I tend to notice mistakes on signs. Sometimes the mistakes make me feel frustrated, but usually they fall somewhere on the spectrum between interesting and hilarious. This place is on the the top floor of Far East Plaza right across from our favorite Japanese restaurant, Nanbantei. The name makes me laugh because it sends so many signals at once. 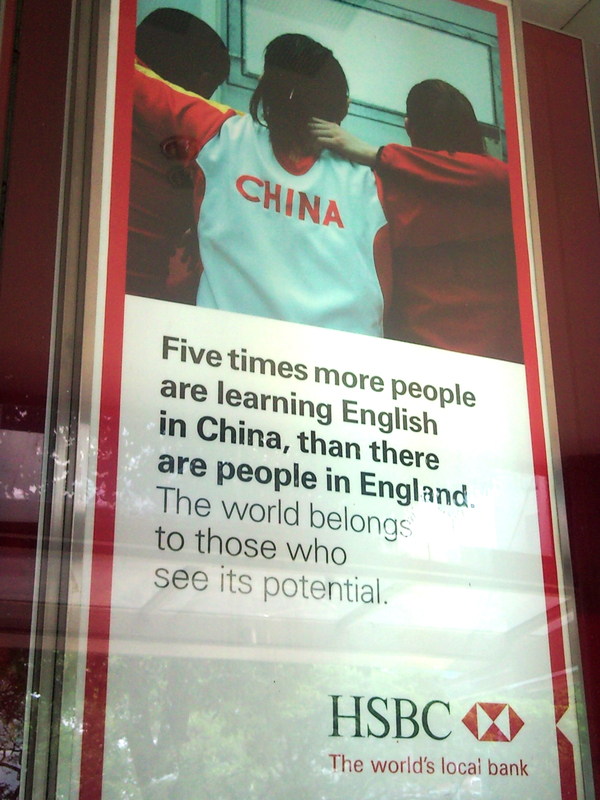 Five times more people are learning English in China than there are people in England.